Conceptual issues and the basis for the use of financial statements from the perspective of complexity and chaos are proposed. 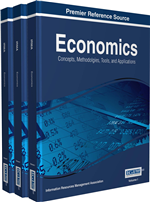 After analyzing the implications that these perspectives have for financial statements, basic accounting equation is examined from the view of complex logic through the mechanisms of the circumscription. Besides, the phase spaces arising from the relationship between indicators of financial health, such as total assets, stakeholder's equity, profit and loss, or cash flow at end of year, are analyzed; also, the relationship among ratios of sustainability, liquidity, and profitability is revisited. The management discussion & analysis and notes to financial statements sections of financial statements are subjected to new interpretations, based on the beliefs logic and complex and chaotic metaphorical narratives. Finally, a critical perspective on the use of chaos and complexity in the analysis of financial statements is introduced. The management sciences have shown interest in developments arising from complexity science, but it might be that, because of the incomprehensibility that complex system concept may have, yet to many sectors, business administration is operating on complicated rather than complex contexts (Richardson, 2008). However, for some time, the implications of complexity science in management studies have been explored (Lewin, 1999), having it been said that modern organizations must deal with different degrees of complexity and complication (Vasconcelos & Ramirez, 2011). Knowing the initial condition, the complicated contexts support prediction, while in complex contexts prediction depends on the interaction between system elements (Sargut & McGrath, 2011). However, it is impossible to differentiate, artificially, between complicated or complex contexts, since any context always involves some degree of both features (Juárez & Contreras, 2012, p. 19). Examples of the interaction between complexity and management science are numerous, having it been explored the utility of complex adaptive systems in the analysis of the internal elements of supply chains and their relationship with the environment in terms of co-evolution (Choi, Dooley, & Rungtusanatham, 2001), the development of breeding programs (Teisman, 2008), the processes of government considered as complex systems (Teisman & Klijn, 2008), the strategic management in the public domain, including restrictions on system predictability and meta-planning (Bovaird, 2008), and the use of different strategies among countries, to reduce and absorb complexity (Boisot & Child, 1999).